You can certainly use pie pumpkins for pie and butternut squash for soup; some varieties are better suited to particular uses, but don’t get too caught up. 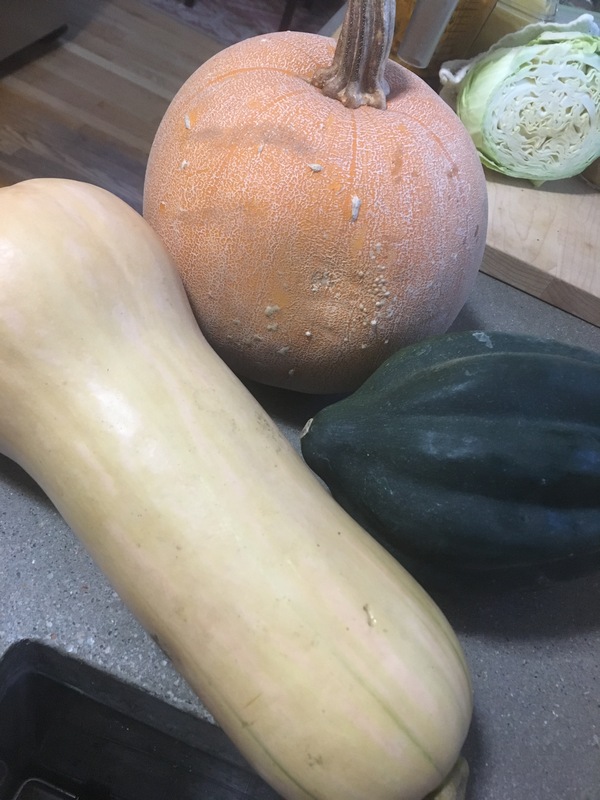 The different types of squash are actually quite interchangeable. 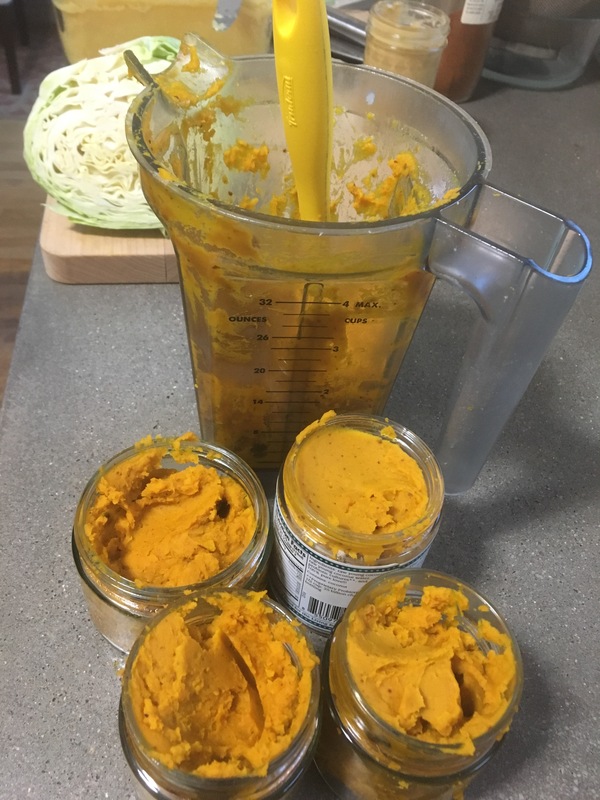 There are differences in flavors and moisture levels, but given the varieties that are most widely available, I generally find that it just takes a few adjustments to use whatever squash you have on hand in whatever recipe you are in the mood to make. Don’t limit yourself! In my opinion, a lot of recipes make squash preparation a little more daunting than it needs to be. The simplest way to cook squash is to pop it in the oven when you have other things baking or roasting. Be sure to slash it a few times with a knife to create some space for the steam to escape as it cooks (because an exploding squash does make the task daunting:) and put it in the oven on a pan or tray to catch the juices. It does best at a pretty high temp, but I think you are fine anywhere between 375 and 425 degrees. Alternatively, you can slice squash in half and remove the seeds, then dice and coat the pieces in olive oil sprinkled with salt and roast the pieces until they are nicely caramelized. Personally, I like the depth of flavor that roasting/baking creates and I don’t like to steam or boil squash. It’s very rare that peeling squash is necessary. If I roast a whole squash, I remove the seeds, cool it, and then puree it (including the skin) in my Vitamix. Depending on the moisture level of the squash, I might add a bit of water to help it process. DO BE SURE TO REMOVE THE TOP AND BOTTOM STEMS. If I’m not going to use it all, I put the extra in jars and freeze them for later use. If I’m dicing it, I use all except the seeds and stem. If you remove the seeds before cooking the squash, you can soak them overnight then sprout them before you salt and roast them for snacking. puree a medium-sized (2-3lbs) squash with 1/2 box of creamed coconut, 1 cup or so of caramelized onions (I like to keep these on hand, but otherwise caramelize 2 medium onions in olive oil and salt), a few cloves of roasted garlic, a touch of curry powder (this is for depth of flavor; add more if you like a stronger curry flavor), water or broth to taste, and salt for a super easy and delicious Fall or Winter soup. replace the creamed coconut with about 2-3 cups of cooked red lentils and the curry with Berbere spice. Add sliced celery and chopped kale and cabbage to a pot along with the squash-lentil-veggie purée, then simmer until the veggies are soft. use caramelized squash cubes like croutons on top of a salad, thick soup like black bean, split pea, or red lentil, or chili. Of course pumpkin bread, pumpkin pie, pumpkin roulades, pumpkin muffins, etc. Spaghetti squash is kind of its own thing – this one I don’t use interchangeably. I roast it whole until it’s soft and I can scoop out and separate the strands easily with a fork. My dog gets the skin; see below. I toss the strands in olive oil and salt, then set them aside while I saute some onions, shallots, or leeks and garlic and add salted water to make a broth. Once the broth has been on a high simmer for about 15 minutes, I add the squash “noodles”. I might have a bowl right away, but I like it better the next day after the flavors have integrated. Dogs LOVE cooked Winter squash (in my experience), and it’s good for them. If I have a really thick-skinned squash like acorn, I’ll scoop out the flesh after cooking (leaving some on the skin for her) and my dog will very happily take care of it for me. Happy cooking! What is your fav squash recipe?? I’m going to try a new thing and…we will see if it works. 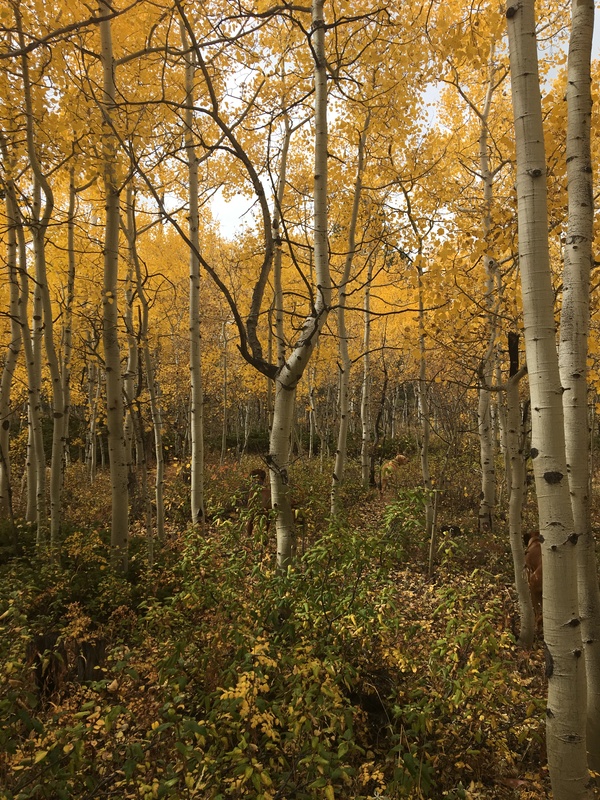 I want to focus more on finishing my cookbook, offering more education on this blog, and seeing if I can get some people on board to get my product line off the ground. But, yes, food is still available! I am going to continue to take orders on a rolling basis, meaning that you can place your orders anytime and you and I can coordinate a pick up schedule that works for both of us. Most of the staples are available continuously and, in that case, can be picked up at your soonest convenience. If staples are out of stock, you and I can coordinate pick up. The bakery items will continue to be made to order and I’ll group orders to be efficient, so we can coordinate pick up dates for those as well. If you have a special occasion or specific pick up date, it will be best to order as far ahead as you are able, but last minute orders do sometimes work out. Extra bakery items will continue to be posted on social when available so you can still get smaller quantities and spontaneous offerings periodically. The specifics are on the menu, which will stay relatively consistent other than rotating treats and newly inspired offerings based on season or my experimentation, are here. I hope you have a spectacular week and weekend! Hello! What beauty that Wintery weather gifted us; it’s a gorgeous day! I looked at the calendar this morning and realized that I need to change things up for this coming week. My schedule will allow me to bake this weekend, but not during the coming week. So…if you can make the timing work and want baked goods, please preorder asap or by tomorrow morning (Saturday) and let me know when you would like to pick up. You can then choose from Sunday/Monday pick up, or I can freeze the goods for pick up on the usual schedule. I’ll probably bake some extra since this is a short window and I’ll post the extras to let you know. As usual, please place orders via email to juliahellerman@gmail.com and let me know your preferred day for pick up. 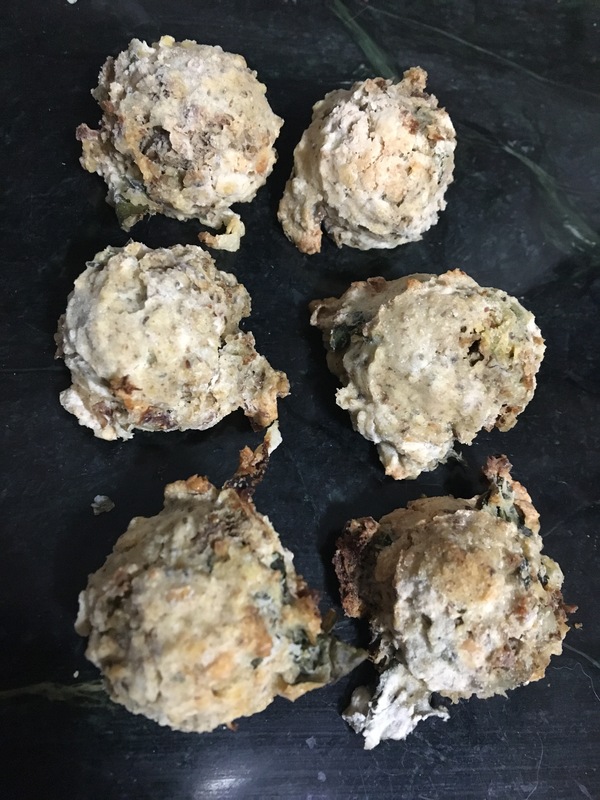 A fun appetizer option I’m working on using some of the various staples on my menu…uncooked mushroom “sausage” + cashew cream cheese + veggies “battered” in sourdough bread batter (prepared for baking; with baking powder, etc) then baked into little bite sized poppers. Stick toothpicks in them and serve with a tomato sauce for dipping or pipe with cashew cream cheese for a little fanciness. You could also stir pesto into the bread batter and I’m sure you could come up with any number of additional options. It’s great to have some easy and fun potluck and appetizer options on hand, especially as the holidays approach.